Almo Wire's 14 Gauge 2 Conductor wire comes in a 100' spool. The exterior plastic housing is white in color and the internal wires are Red and Black. 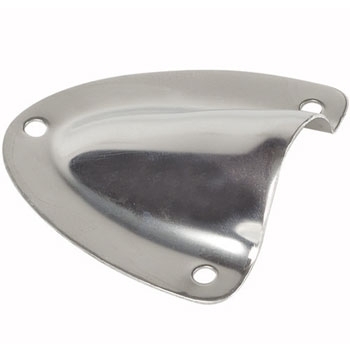 Perfect for wiring your GPS, Fishfinder, VHF Radio or other piece of Marine Electronics. Almo Wire's 14 Gauge 2 Conductor wire comes in a 250' spool. The exterior plastic housing is white in color and the internal wires are Red and Black. Perfect for wiring your GPS, Fishfinder, VHF Radio or other piece of Marine Electronics. 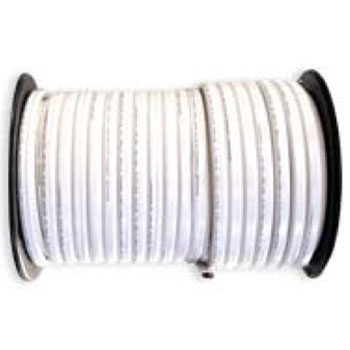 Almo Wire's 16 Gauge 2 Conductor wire comes in a 100' spool. The exterior plastic housing is white in color and the internal wires are Red and Black. Perfect for wiring your GPS, Fishfinder, VHF Radio or other piece of Marine Electronics. Almo Wire's 16 Gauge 2 Conductor wire comes in a 250' spool. The exterior plastic housing is white in color and the internal wires are Red and Black. Perfect for wiring your GPS, Fishfinder, VHF Radio or other piece of Marine Electronics. 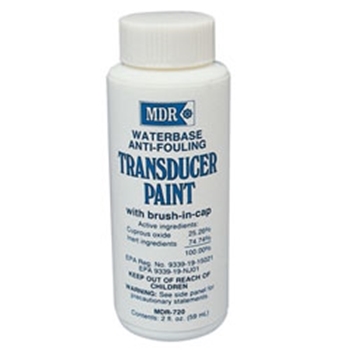 MDR-720 Transducer anti-fouling paint will keep your transducer free of growth when your boat is in the water. If you are keeping your boat in the water this will help improve the longevity and performance of your transducer.